Stereotyped Basques were known as the 'Original Gypsies'. Although, that may be true, their original intent was not of that of today's definition of a Gypsy. As a trade, they were known to travel to distant lands to bring their goods (for example: foods, tools, services, trading). One factor, was the ability to be self-sufficient when travelling. As fine marksmen and fishermen, they would sell their goods as they travelled. Learning to repair and service in distant lands was a trade for some, but always to return to their families. Another early (and still acclaimed) trade, is sheepherding. 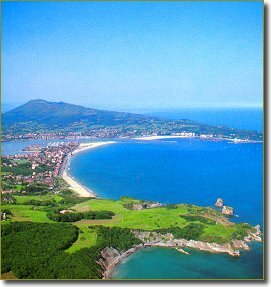 Above is Donostia (San Sebastian) today. This region's scenic beauty is a hidden treasure. An area located in Boise, IDAHO has a "Basque Block". 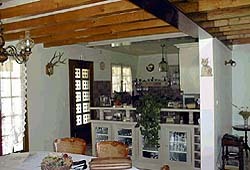 It is a unique community celebrating the Basque traditions and customs. Click on the house above to see the site. The name 'Basque' comes from the French version of the country's name 'Pays Basque'. This simply means 'Basque Country'. 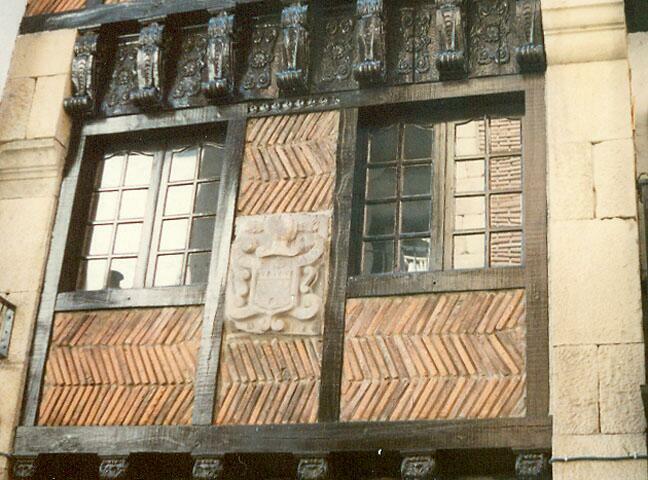 Spain recognizes it as 'Pais Vasco' or 'Vascones' (meaning the same). In the native language, it is known as Euskal Herria. The names and references to this cannot be traced to its origin. Where does the Basque language come from? 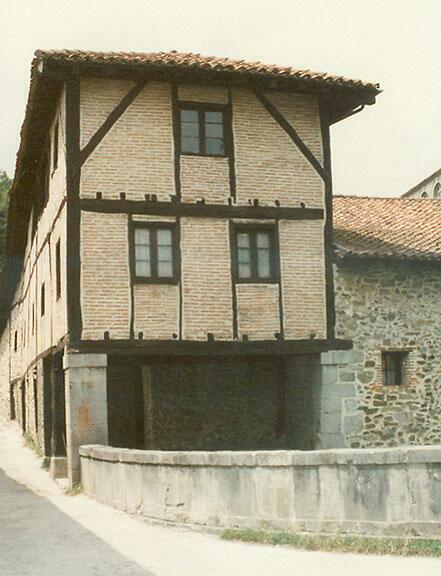 Just as no one is sure about the origins of the Basques themselves, linguists are not in agreement over the origins of Euskara, the Basque language, either. (In Basque, the word euskara is not capitalized, but when using it in English, it is customary to capitalize it, just as we capitalize the names of other languages.) Although there are theories (none of them proven beyond a doubt) that Basque is related to other languages (such as the Georgian family of languages in the Caucasus, or the Berber language family of Africa, or even the Quechua language of Latin America). So far, the only thing most experts agree on is that Euskara is in a language family by itself. That is, it is not related to any other language in the world. It is, therefore, not an Indo-European language (the large group to which English, French, Spanish, and Russian belong). How many Basque Speakers are there in the Basque Country? The Autonomous Community of Euskadi (Araba, Bizkaia, Gipuzkoa) and about 400,000 more who have learned some Basque but are not considered fluent. Since most of the Basque speakers of the world live in that area, these numbers give us a close estimate of the number worldwide. There are perhaps 15,000 speakers in Iparralde (the three provinces on the French side of the border), and there are some speakers in Navarra. There are also pockets of Basque speakers in Latin America and in North America. Basque speakers are called Euskaldunak, possessors of Euskara, and those who learn the language later in life are called Euskaldun berriak, 'new Basques'.